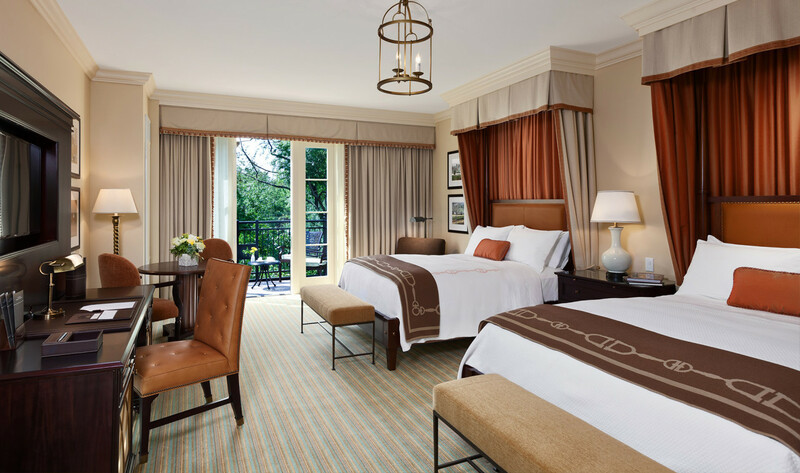 Escape into the old school by way of modern luxury. This epic countryside estate brings out the best of Virginia, from locally sourced eats to sprawling terrain to ride horses. 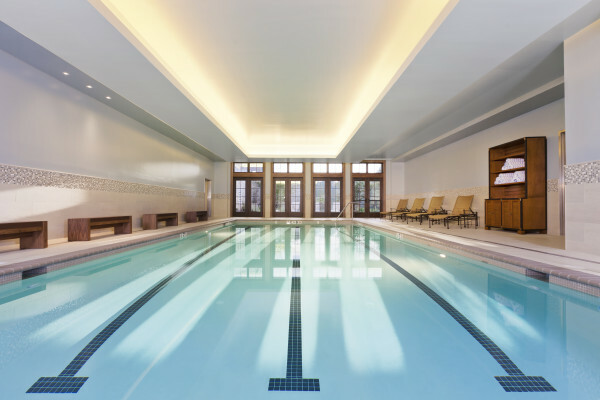 There’s no shortage of activities for any explorer. 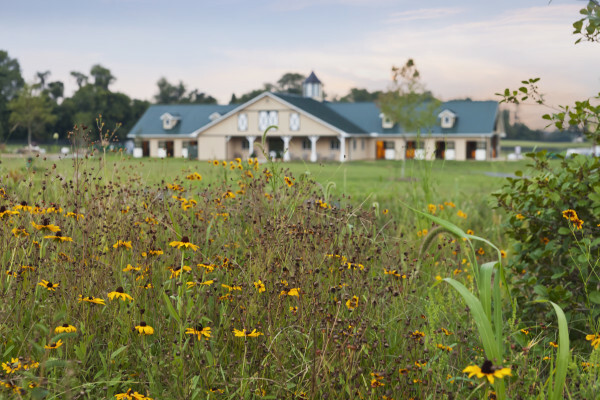 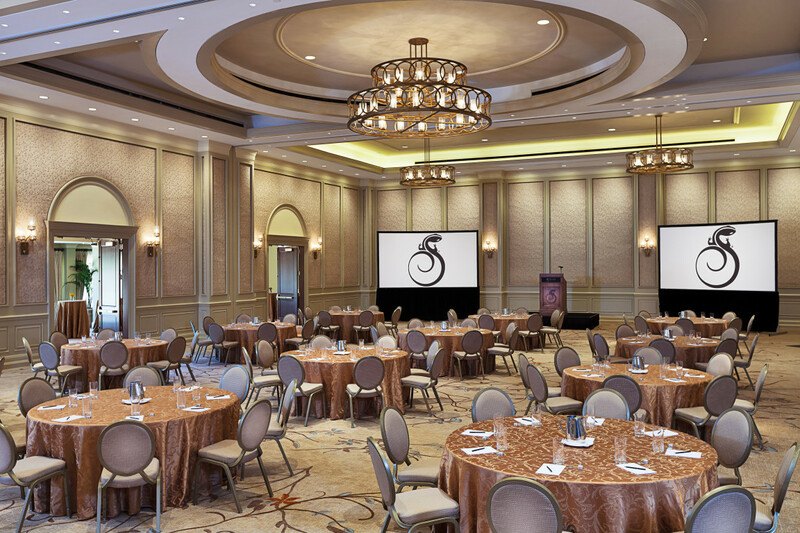 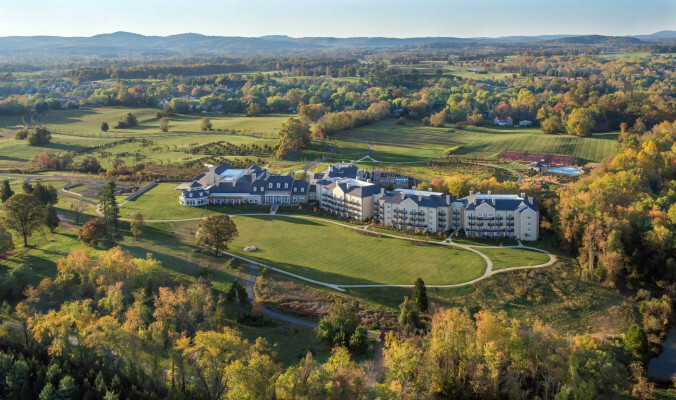 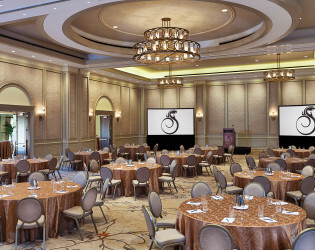 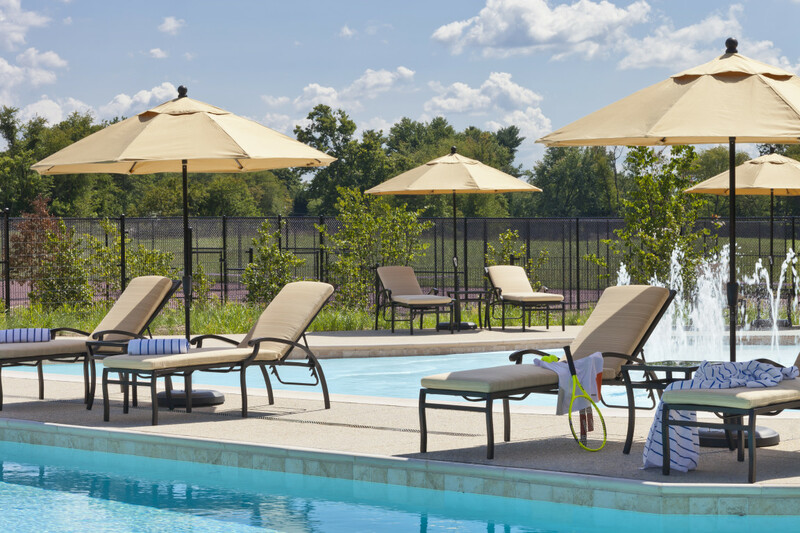 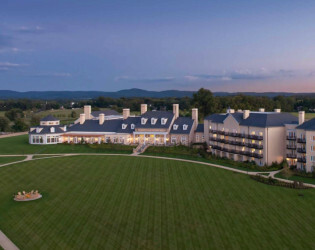 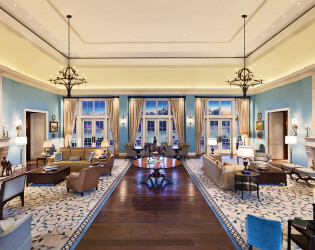 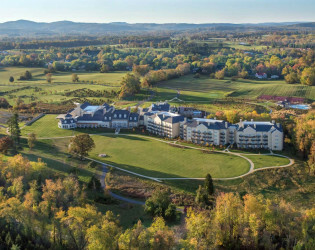 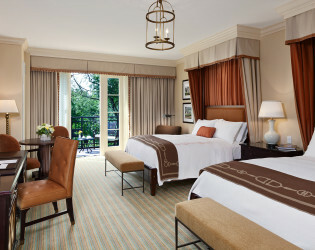 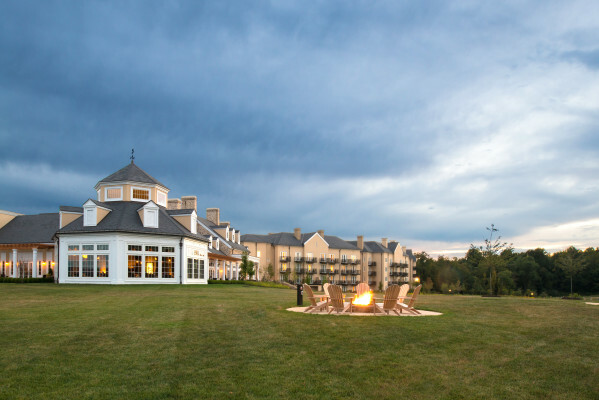 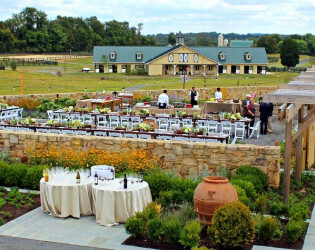 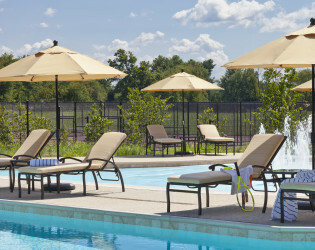 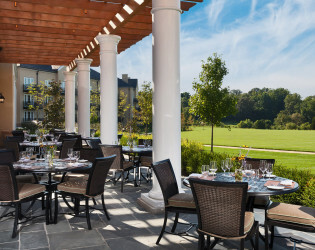 The winding London Plain tree lined road, with its expansive views of the Bull Run Mountains, equestrian center, paddocks, and wild flower meadows, leads guests directly from the Main Street of Middleburg to the resort's front entrance. 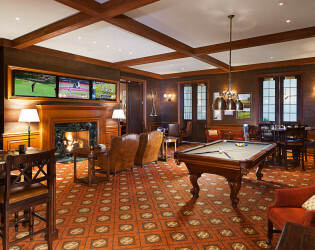 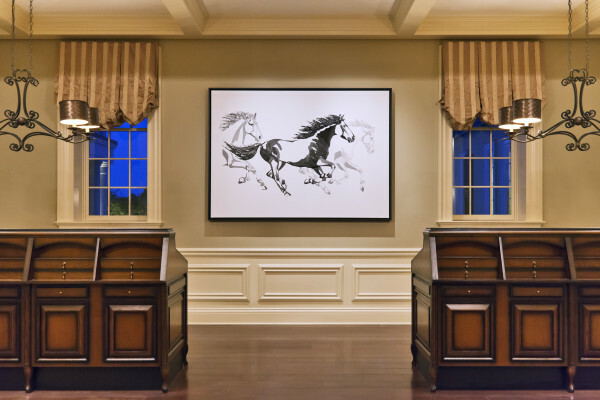 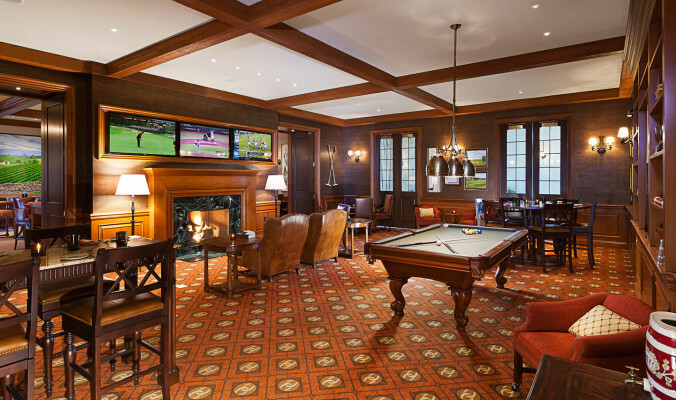 As in a fine home, guests enter into the Living Room overlooking the Grand Lawn and surrounding woods, with miles of trails and outdoor activities that begin to introduce you to the mystique of the equestrian world and lifestyle. J Douglas, a seasoned server in the Gold Cup Wine Bar, will catch your eye the same way he caught Ms. Johnson's. 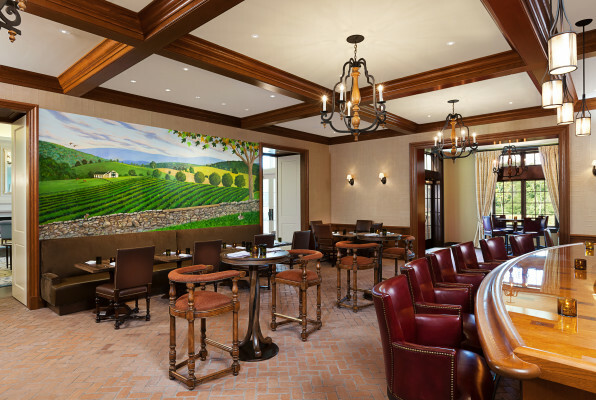 J's realistic rendering's capture the enchanment of the Middleburg coutryside in every painting. 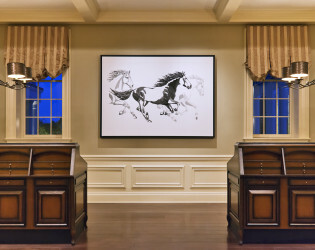 Ms. Johnson has taken some of the paitings home herself and often has J set up on property where guests can watch him create his masterful artwork! 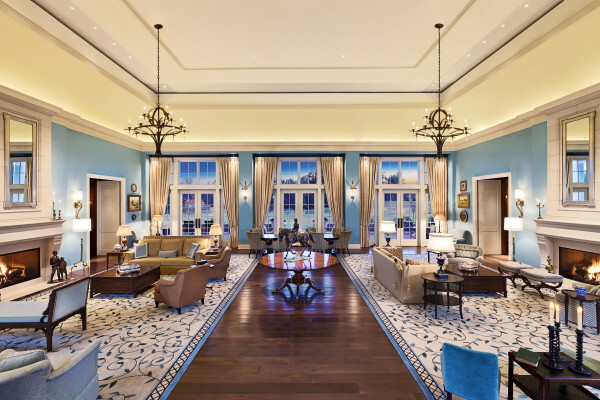 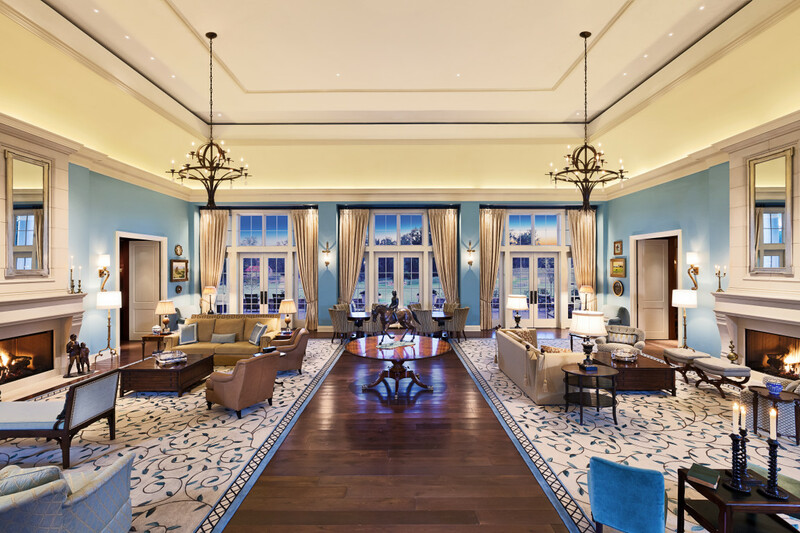 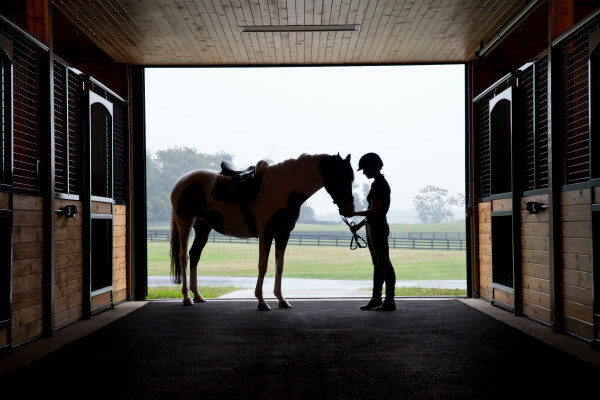 The 340 acre equestrian-inspired estate is just 40 miles west of Washington, D.C. 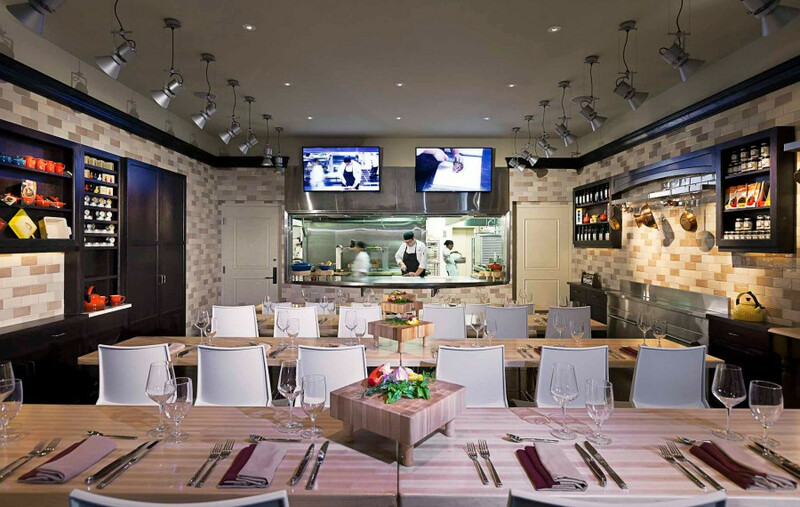 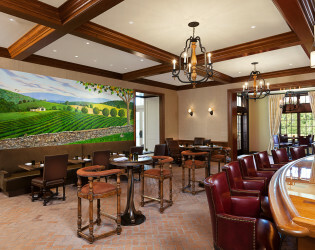 The Gold Cup Wine Bar and Billiards Room, will serve an extensive menu of locally-inspired small plates throughout the day and an extensive wine list. 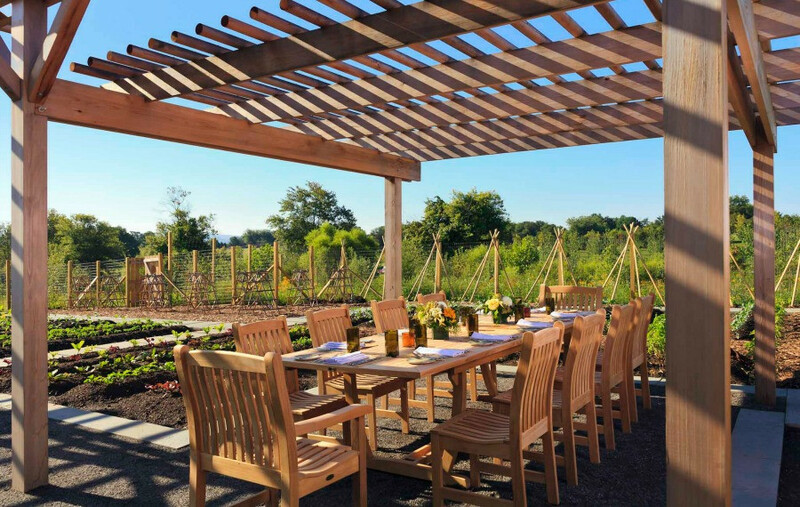 Dine in the garden where we grow the fresh herbs and vegetables used in the menu and have a true ‘garden-to-table’ experience. 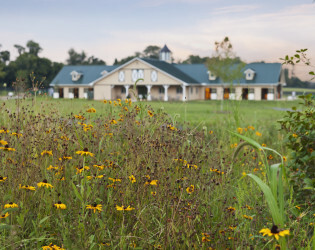 Highlights of the resort’s Equestrian Center include a 22-stall barn, practice ring, riding trails and instructional classes. 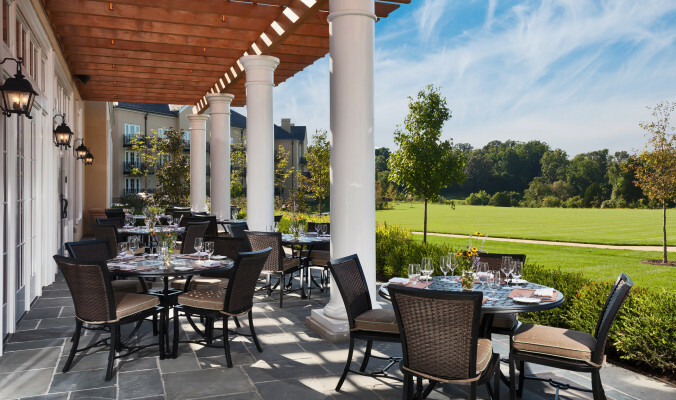 Salamander Resort & Spa offers the finest in locally sourced cuisine and a variety of experiential dining. 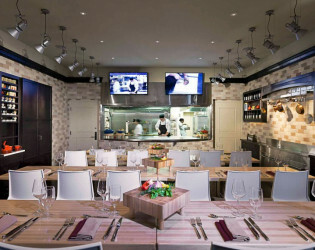 Much more than a demonstration kitchen, this Cooking Studio is unique in that it opens directly into our kitchens. 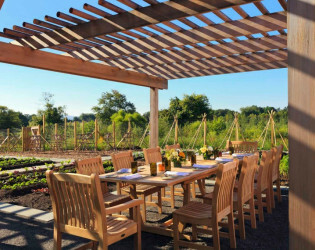 The Dining Terrace off of Harrimans. 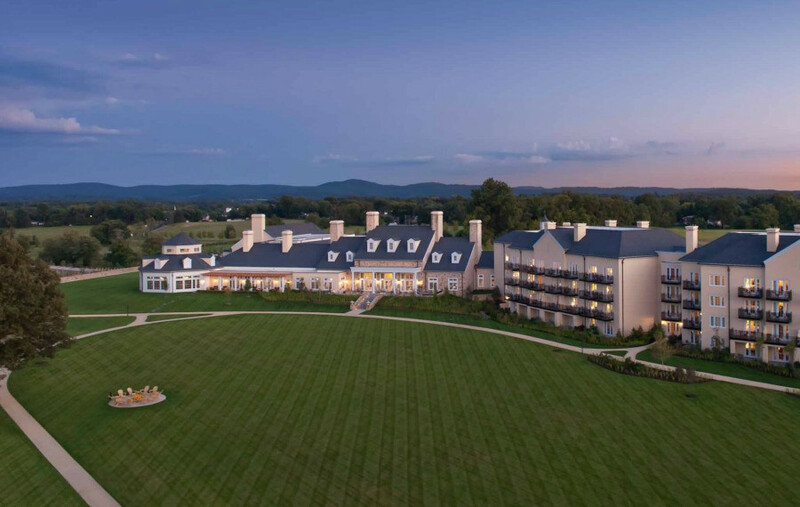 A level of comfort and style found only in the countryside's finest Virginia estates. 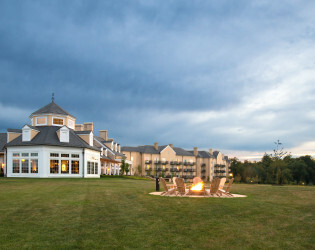 Bonfire on the grand lawn. The Grand Lawn at Salamander Resort & Spa. 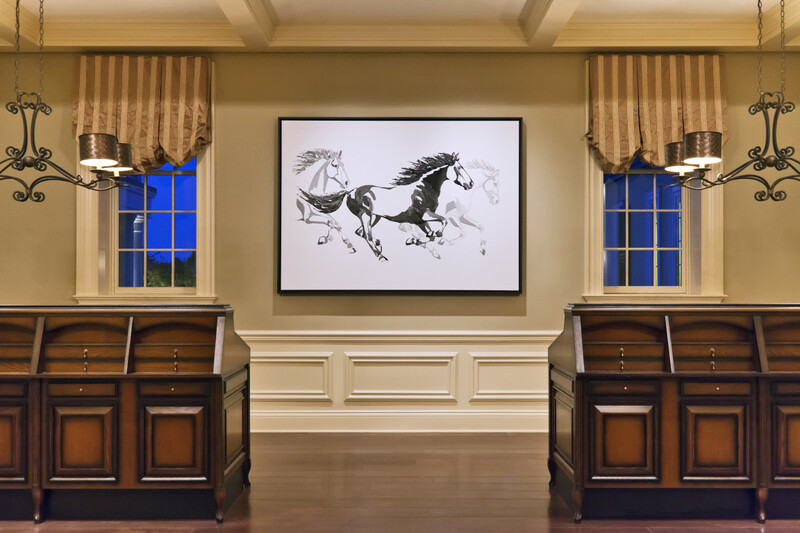 The Grand Entrance reflects a comfortably luxurious Virginia estate.